Inside round panorama of pink apple blooming branch. Amazing natural backdrop for excellent intro in hypnotic full HD clip. Concentric roundabout shooting. hd00:19Spring flowering of trees in the garden. A blossoming garden with apple and cherry trees - a sunny day in a spring park. hd00:10Beautiful purple Bauhinia flowers on the green leaves. 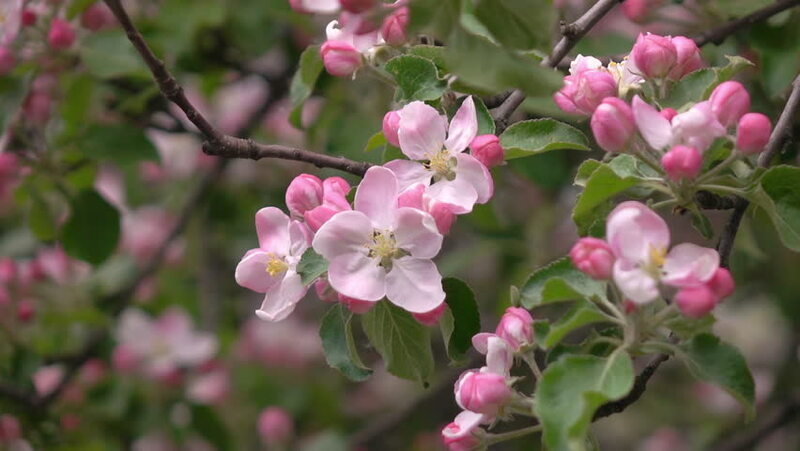 hd00:30 A sunlit apple twig with pink blossom buds and new green leaves, trembling in the spring light wind on blur background. Revival of the nature after long winter. Cheering spirit in the dslr footage.